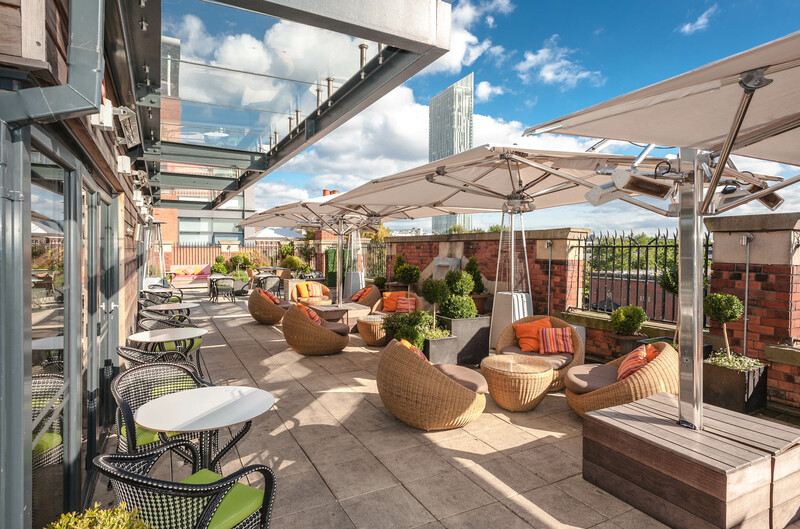 Situated in a converted Victorian School House, the charming, Great John Street hotel is nestled just a three-minute walk from Manchester Opera House and a short walk from Manchester’s central shopping districts- perfect for those Christmas city breaks. Fitting to its rustic Victorian School House conversion, the meeting and event spaces in the hotel are named appropriately after the ‘Headmaster’s Office’, and the ‘‘Girls’ and ‘Boys’’, shadowing its own history. The Rooftop terrace also follows the themed conversion, named ‘The Rooftop Playground’, offering picturesque views around the city skyline. Open to all, the Rooftop terrace makes for a fantastic visit to enjoy a glass of wine in between Christmas shopping… whether you’re staying the night or not. If you do opt to spend the night in the hotel, the Eclectic Grand Suite makes you feel like royalty. Upon opening up the room, the soft sounds of classical music resonated through the overwhelmingly spacious hotel room. 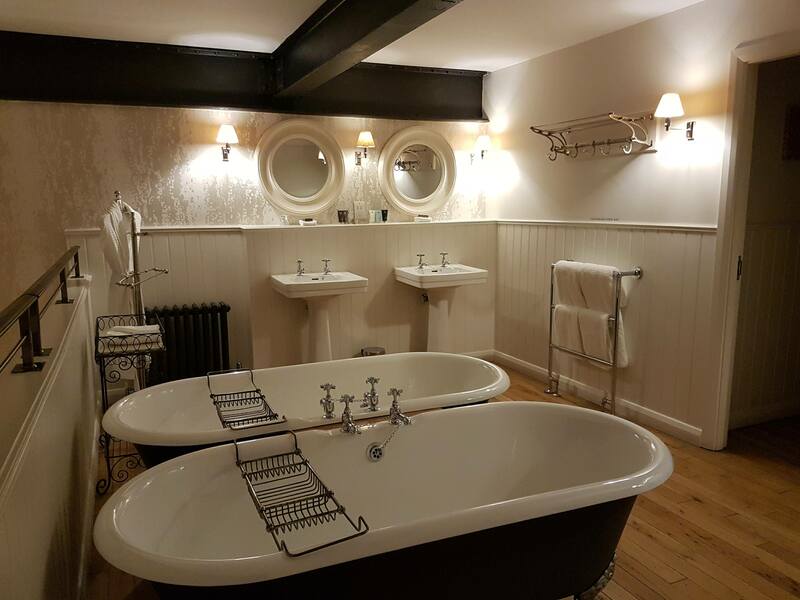 Featuring an upstairs mezzanine occupied by twin cast iron soaking bath tubs and a walk in shower come steam room, a super king sized bed with heavenly goose down feather pillows is situated on the ground floor. With the original windows still fitted, the large fixtures take over both levels allowing natural light to flood into the room. 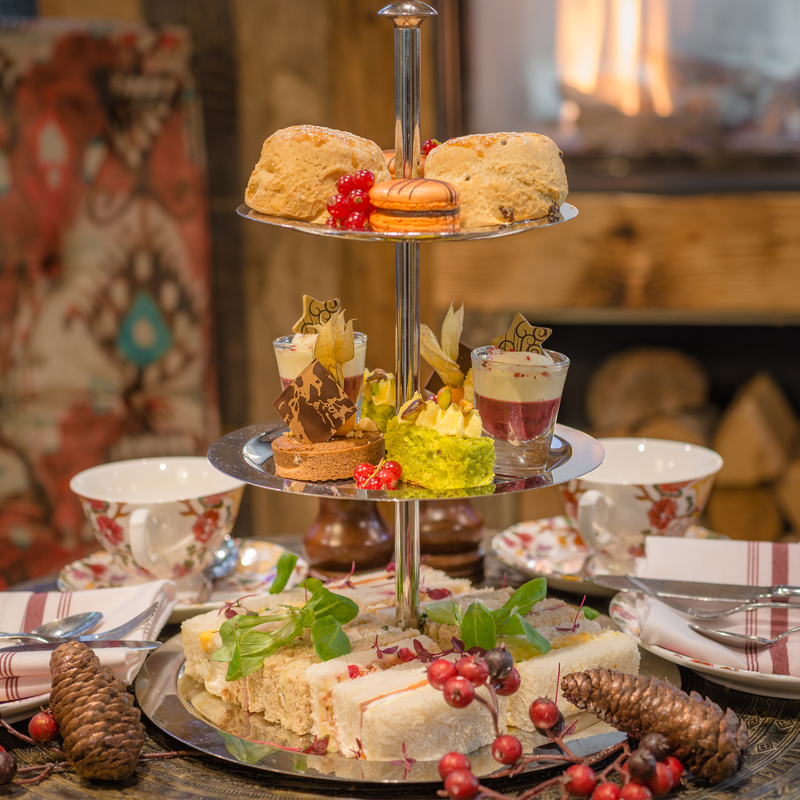 Also famous for its afternoon teas, the Great John Street Hotel launched its indulgent festive afternoon teas on the 11th November if you fancy a Christmas treat to get yourself into the spirit. Served with bottomless organic tea and coffee with the option to upgrade to festive champagne, delicate festive finger sandwiches are filled with fillings such as Turkey & Stuffing to Brie & Cranberry alongside the classics of Egg & Cress and Salmon & Crème fraiche. The delightful finger sandwiches are also accompanied by a selection of freshly made sweet canapés, with the rich in flavour Chocolate & Orange Macaroons and the soft tasting Gingerbread & Vanilla Tartlets being stand out favourites. After residing the night in the exquisite hotel and then indulging in the delightfully beautiful afternoon teas, I didn’t want to return to reality following the wonderfully relaxing stay. The hotel has bags of character and charm, helpful and attentive staff and scrumptious food and afternoon teas. Why not treat yourself to an early Christmas present this year to a stay at the Great John Street Hotel?